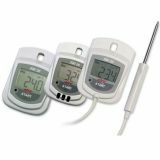 ebro has a wide range of data loggers for measuring temperature at validation and routine checks as well as for cold chain and process monitoring. 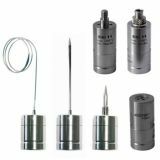 The range extends from wireless data loggers for real-time monitoring, via mini data loggers for tight spaces to multi-channel thermocouple data loggers and complete data loggers systems, including evaluation software. 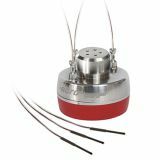 The data loggers are available with a variety of sensor types and configurations to fit your application. The Ebro EBI11 Mini Data Loggers are suitable not only for validation monitoring but can also be used for routine control monitoring. 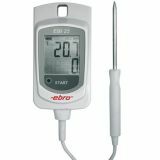 To fit each of your specific processes, ebro offers a wide variety of EBI 10 temperature dataloggers, pressure dataloggers and humidity dataloggers in many different configurations. 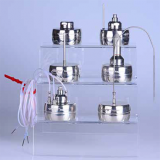 For example you have the choice of internal sensors, rigid and bendable metal probes, fully flexible cable probes, Luer-lock or tube connection. The wireless real time monitoring of hot processes up to +400 °C is suitable for many medical, pharmaceutical, laboratory and industrial applications. With a memory capacity of 40,000 measurements the easy to use EBI 20 data loggers are suitable for the continuous documentation and monitoring of temperature and humidity. 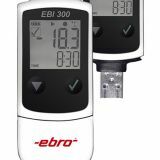 The ebro EBI 20 consists of EBI 20-T1, EBI 20-TE1 and EBI 20-TF for recording temperatures and EBI 20-TH1 for recording temperature and humidity in the chemical and pharmaceutical areas. All EBI 20 data loggers are delivered with a factory calibration certificate and a user replaceable battery. 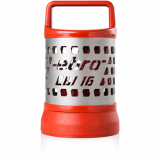 The data loggers are particularly attractive because of their excellent price-performance ratio. 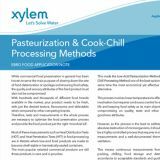 This application note focuses on the benefits of the Ebro EBI 12 Wireless Temperature Data Loggers in ensuring the adequacy of the Cook Chill Processing Method in the Food Industry, and to give us a good indication that those microorganisms that were inactivated by the process are not given any conditions for re-growth.